Found 21 blog entries for July 2013. Wednesday, July 31st, 2013 at 5:37pm. Calling all our lady friends! Do you enjoy cycling? If you do, you may have participated in the Rockwell Relay Series Ladies Pamperfest Challenge earlier this July, which we promoted on our blog earlier this summer. 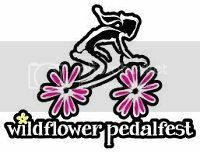 If you did participate in the Ladies Pamperfest Challenge and enjoyed it, or if you were unable but wish to participate in something similar, we’ve got just the event for you: the Wildflower Pedalfest on Saturday, August 17th. TODAY IS THE LAST DAY TO REGISTER FOR THIS EVENT! Like the Ladies Pamperfest Challenge, the Wildflower Pedalfest, is a women-only cycling event. The Wildflower Pedalfest is a creation of Wildflower Outdoor, a local company that specializes in outdoor gear for women. Wednesday, July 31st, 2013 at 1:50pm. If you follow our blog regularly, you know that trail-running is one of our absolute favorite past times. Fortunately for us, living in Ogden Valley affords us plenty of opportunities to quench our trail-running thirst, as this area is home to countless trails that are perfect for running. Do you love off-road running as much as we do? Then we encourage you to check out the Ragnar Trail Relay at Snowbasin on August 16th and 17th. First of all, what is a Ragnar Trail Relay? Monday, July 29th, 2013 at 1:31pm. Are you a wine connoisseur? Or are you interested in attending a unique, one-of-a-kind dining experience? 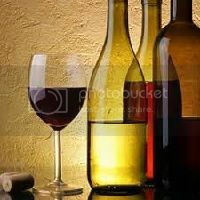 Then we invite you attend the Kiler Grove Winemaker’s Dinner at Snowbasin Resort in Huntsville this Friday, August 2nd. Snowbasin has teamed up with Kiler Grove Winegrowers to present this dining and winetasting event, which will be held at Earl’s Lodge. Kiler Grove Winegrowers, located in South Salt Lake, is Utah’s first urban winery. Monday, July 29th, 2013 at 1:20pm. Do you enjoy competing in relay races or triathlons? Are you looking for a way to race with your friends? We know of just the event you’re looking for—the TriUtah Ultimate Relay, coming up on Friday, August 2nd. The TriUtah Ultimate Relay, created in 2011, is exactly what it sounds like—an ultimate triathlon relay race. This extreme race consists of twelve legs--four swimming sections, four cycling sections, and four running sections—and spans more than 130 miles from Huntsville to Midway, Utah. Thursday, July 25th, 2013 at 1:08pm. The coming days will be fantastic for music fans here in Ogden Valley. On Friday the 26th, the Utah Symphony will perform at Snowbasin for the resort’s “Utah Symphony under the Stars” event. On Sunday, Snowbasin will again be alive alive with the latest installment of the Blues, Brews, and BBQ Concert Series. The musical excitement continues next week with two concerts at Huntsville BBQ Company: The Nashville Tribute Band tomorrow, July 30th and Due West on Wednesday, July 31st. Thursday, July 25th, 2013 at 12:52pm. Calling all our music-fan friends once again! It’s time for our weekly Blues, Brews, and BBQ Concert Series update. Summer is in full swing, and so is this concert series presented by Snowbasin. Indeed, the series is a third of the way complete; five shows are in the books and ten remain. If you still want to make it to one of these free shows but haven’t been able to yet, don’t worry; you still have plenty of chances. Your next chance comes this Sunday, July 28th, as Snowbasin welcomes Coastwest Unrest and special guest the Nate Robinson Trio. If you’re a music fan, you’ve had one heck of a summer so far here in Ogden Valley. For one, the Blues, Brews, and BBQ Concert Series at Snowbasin is in full swing. If you have not yet been to a show in this concert series, we definitely urge you to check it out. We also encourage you to check out another amazing concert coming up in Ogden Valley: Utah Symphony under the Stars at Snowbasin on Friday, July 26th. Snowbasin Resort, in conjunction with the Ogden Symphony Ballet Association, invites you to come spend an evening with the Utah Symphony for a “Classically Charged Celebration” on the evening of the 26th. Sunday, July 21st, 2013 at 5:31pm. The weekend of August 16th and 17th is a big weekend for those who enjoy trail-running. For one, the Ragnar Trail Relay at Snowbasin begins on Friday, August 16th. (Click here to learn more about this event.) 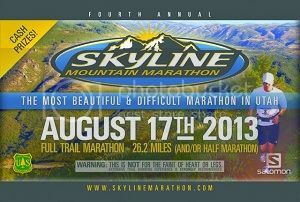 In addition, the Skyline Mountain Marathon, an off-road marathon, will take place in Ogden Valley on Saturday, August 17th. Whereas the Ragnar event is mainly marketed and designated for those who are looking to have a good time with some friends (though there’s nothing at all wrong with that), the Skyline Mountain Marathon is only for those who take their trail-running seriously—very seriously. Friday, July 19th, 2013 at 1:29pm. Are you a cyclist searching for the ultimate challenge? We know of just the ride you’re looking for: the Bonneville Cycling Club’s annual Red Rock Ranch Monte Cristo Century on July 24th. The Red Rock Ranch Monte Cristo Century is a 100-mile ride that’s not for the faint-hearted. This race is one of nineteen races in the Bonneville Cycling Club’s SuperSeries. Friday, July 19th, 2013 at 1:18pm. Pioneer Day is nearly upon us, and that means it’s time for the Ogden Pioneer Days Rodeo! Pioneer Day is a holiday specific only to Utah. It commemorates the day the first Mormon pioneers entered the Salt Lake Valley—July 24th, 1847. Every year on and around July 24th, towns and cities all across Utah host celebrations and festivals to honor our statehood, but in our humble opinion, no city celebrates Pioneer Day better than Ogden!